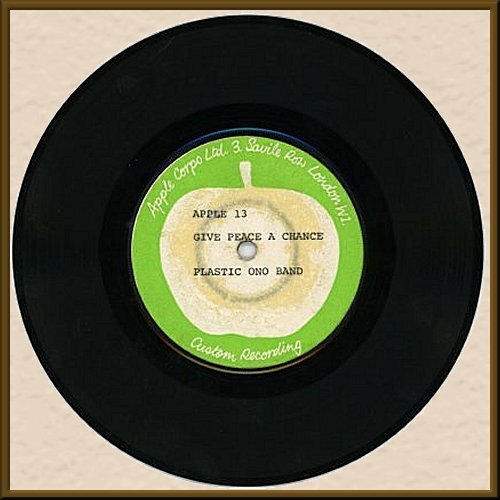 A seven inch test pressing for "Give Peace A Chance" recorded by the Plastic Ono Band. 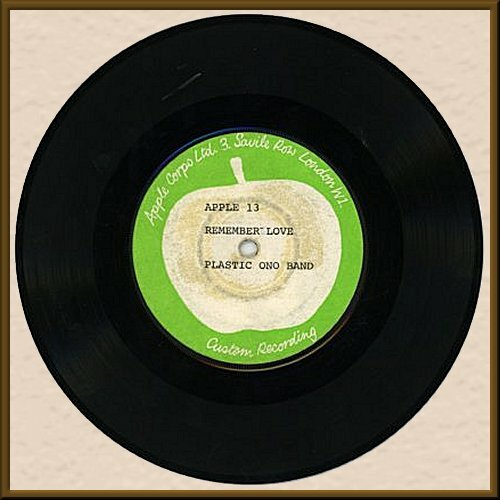 Type written Apple custom recording label reads " Apple 13 Give Peace A Chance Plastic Ono Band" on one side and on the other "Apple 13 Remember Love Plastic Ono Band". This test pressing came from the collection of John Alexis Mardas (Magic Alex) who worked for Apple in the 1960s and was a close friend of John Lennon. Record is in very good condition.